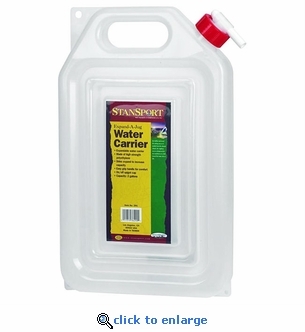 The Stansport 2 gallon expandable water carrier will make transporting water a breeze camping, hunting or in emergency situations. This sturdy water container will expand when filled with water and collapse back when empty. Made of high strength polyethylene, BPA-Free. Dimensions: 16" x 10" x 2"